Oregon's Outsides: Who's It Going to Be? 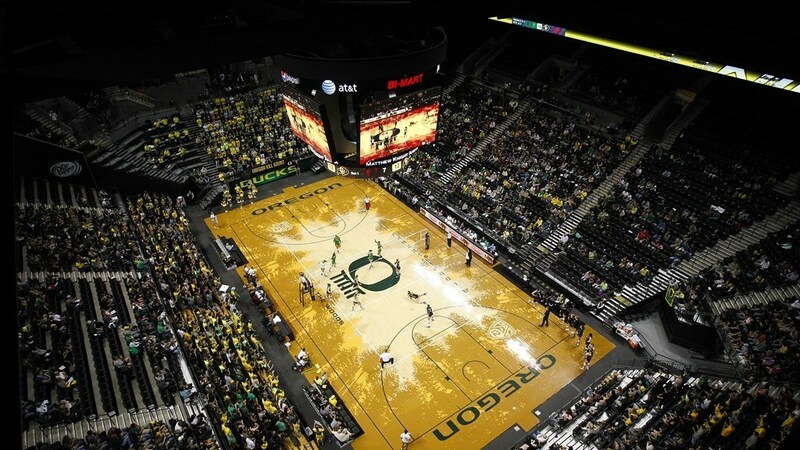 Oregon’s Outsides: Who’s It Going to Be? Tweet Oregon’s Outsides: Who’s It Going to Be? Following the upset of former #4 Minnesota, the Oregon Ducks still have decisions to make about which hitters they will start moving forward. #16 Oregon has the luxury of having a deep bench this year, particularly at the outside hitter position. 6’3” Senior Lindsey Vander Weide has cemented herself in the lineup as a six-rotation outside, leading the team with 70 kills on 241 attempts so far this year. However, the secondary outside position has been a subject of contention as the rest of the outside attackers have struggled to find a consistent groove. Playing time has largely been split between SR Lauren Page, Redshirt-SO Brooke Van Sickle, and JR Taylor Borup, a transfer from the University of North Carolina. 5’9” Redshirt-Sophomore Brooke Van Sickle seems to be the wild card in the equation, depending on her ability to stay healthy throughout the season. Van Sickle medically redshirted in 2017 due to a knee injury early in the season. She has played in every set of each match thus far, though her overall attacking numbers have been uneven as a whole. On a season-high 24 attempts versus Nebraska, Van Sickle put down eight kills while only making two errors. Since that match, however, Van Sickle has only been averaging five to eight attempts a game, and was primarily used as a back-row substitute for Page. The limited playing time matches Oregon Head Coach Matt Ulmer’s assessment of her long-term goals for the season: “I’ve been bringing her along slowly to try and build up as much strength and endurance as possible heading towards PAC-12 play.” According to Ulmer’s statements, Van Sickle should be expected to carry more of the offensive weight as the season progresses. Van Sickle also currently leads the Pac-12 with 0.62 aces per set, and has put down 16 aces from the service line so far this year. 6’0” Senior Lauren Page has transitioned from the middle this year to be a force on the outside. Page was crucial in Oregon’s win over Minnesota, putting down 16 kills on 34 attempts with 5 errors. However, she has struggled with consistency as well, following up on that match with a 1 kill/11 attempts/4 errors showing against Penn State. As the season progresses, Page is expected to continue to improve in her new position.
.@UOCoachUlmer was looking for his left sides to step up, and boy, did they ever tonight. Taylor Borup is another option Oregon has been testing throughout the first few weeks of the season. Out of the three outsides, it seems Page and Borup are the most likely candidates to continue to be rotated based on their daily performances. At her previous institution, she was named to the 2016 ACC All-Freshman Team after playing in 29 matches for the 21-10 UNC squad, though she missed eight matches during her 2017 season at UNC due to injury. Borup also missed a spring season of training due to her transfer from UNC to Oregon this past year. So far this year, Borup has only played in 11 sets for the Ducks, notching 18 kills and 7 errors on 70 attempts. She has struggled with consistency during high-level matches, notching 2 kills and 2 errors on 15 attempts against #4 Nebraska, 0K/1E/1AT against #7 Minnesota, and 0K/1E/2AT against #5 Penn State.